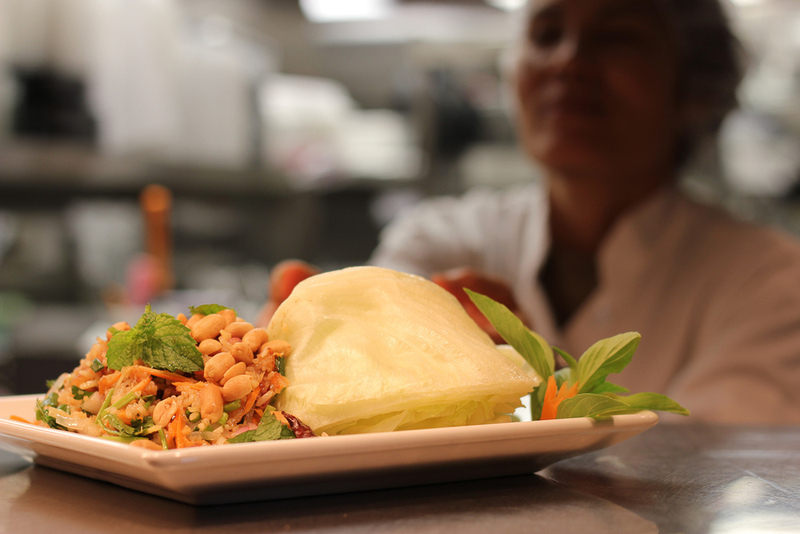 Fresh Food, Bold Thai Flavors. From the owners who brought you Tulsa’s famous Lanna Thai Restaurant, we are excited to present "The Tropical", one of Tulsa's hidden gems. Tucked away off of Memorial Dr., The Tropical boasts a menu full of Thai inspired surf, turf, and vegan dishes. Voted Tulsa’s best new restaurant in 2011 by the Tulsa World, and listed for Best Business Meal Spot by UrbanSpoon. The Tropical is a place you’re just waiting to stumble upon.